Thank you for your interest in having official name cards produced through the Registry. Please review your details below for online submission. Your request will not be processed until we receive a printed form that has been signed by the Department Head or Account Holder for payment authorisation. Contact Person *This question is required. 職位	 This question requires a valid email address. Office Address *This question is required. Office No. 辦公電話 *This question is required. Email 電子郵件 *This question is required. This question requires a valid email address. Card Style *This question is required. Double Sided / Single Sided *This question is required. Number of cards to be printed *This question is required. 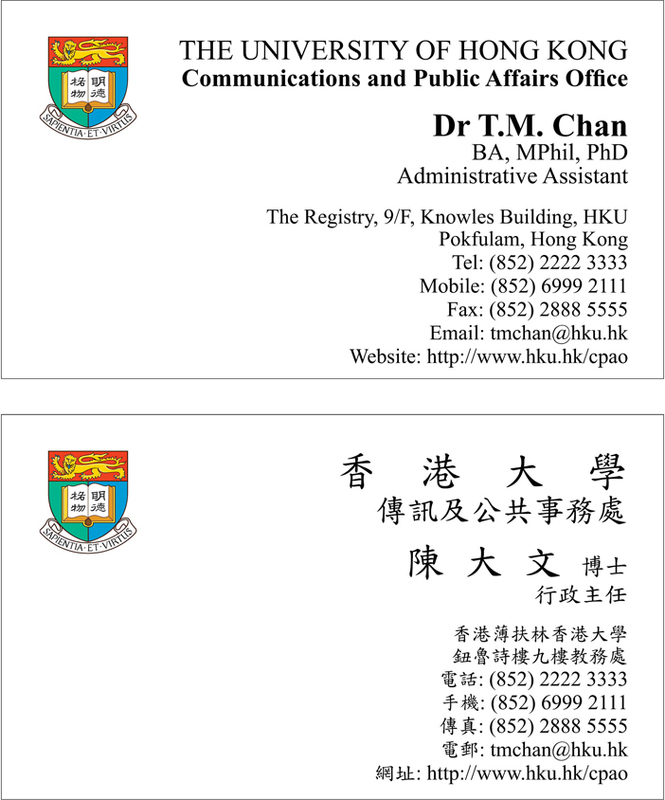 Name cards will be ready for collection three working days after the approval of artwork. I approve this application and authorise that all charges incurred to be charged to the following account : *This question is required. Department/Centre/Unit *This question is required. Date (DD/MM/YYYY) *This question is required. This question requires a valid date format of DD/MM/YYYY. Print Approval Form and have it signed by Head or Account Holder. Your request will not be processed until we receive a printed and signed Approval Form. Please print the completed form for the Department Head or Account Holder to sign. Send the hard copy of the signed Approval Form to CPAO via internal mail. You will receive a draft layout from CPAO for approval within 5 working days. If you do not hear from us within 7 working days after sending out the Approval Form, please contact us for follow-up. 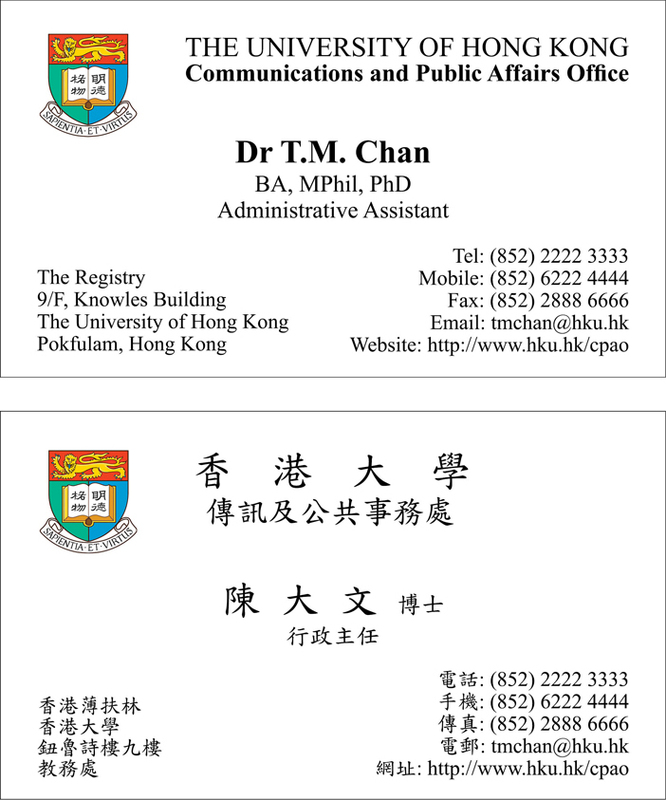 Printing of name card (one to two weeks’ time, subject to the Logistics and Reprographic Unit of the Registry). Applicants will be notified by email when name cards are ready for collection.